Book the perfect vacation at Swiss-Belsuites Pounamu Queenstown. A short ski break is a brilliant way to fit in your ski fix, with minimal disruption to everyday life, here are a few of our top recommendations for skiing - The Remarkables experience big mountain terrain just 40 minutes from our central Queenstown location; Coronet Peak only 20 minutes from our hotel PLUS FREE shuttle service offered or Cardrona Alpine Resort is New Zealand’s most popular ski area, has something for everyone, wide, open slopes are home to some of New Zealand’s best snow conditions. This vacation will delight just about any skier, from first timer to expert, young to old, to those on a budget or those looking to splurge a little. 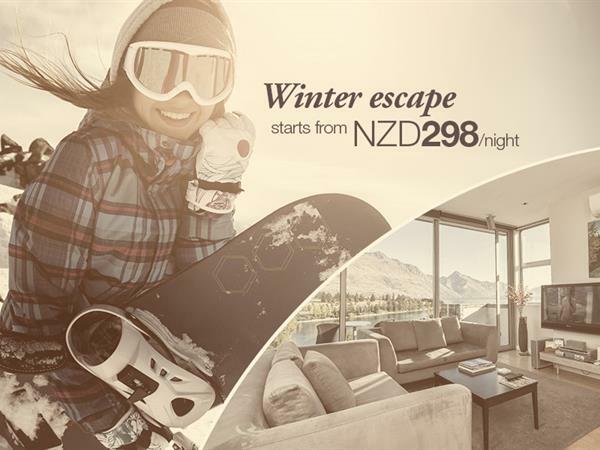 Book early your accommodation in Queenstown and enjoy special rates start from NZD 188/ room/ night in an Alpine Studio! Swiss-Belsuites Pounamu, Queenstown and Glacier Helicopters bring you the "Adventure of a Lifetime". Enjoy an exhilarating flight over Milford Sound and the glaciers of Fiordland National Park past spectacular rivers, valleys and mountains with blue-green ice falls. Land on Mt Tutoko glacier and take the opportunity to capture once in lifetime photographs. You will then land at a remote West Coast beach where your guide will dive for Crayfish. 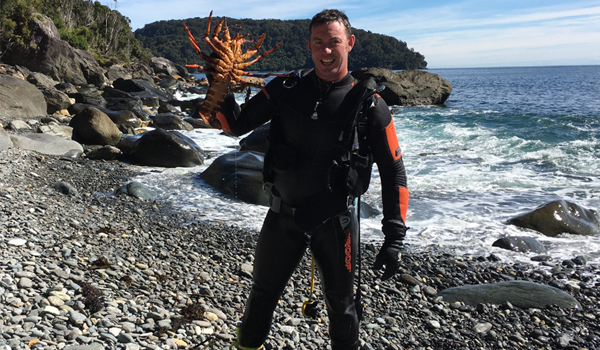 After the crayfish dive you will continue to an alpine landing near Queenstown where it's time to enjoy the fresh crayfish for lunch, complete with Central Otago wine before flying back to Queenstown. - Accommodation in a One bedroom Swiss-SuperSuite. - Glacier Helicopter: If cancelled more than 24 hours from the departure time, a full refund will be made. Otherwise, 25% cancellation fee will incur from your full payment. If you are thinking of extending your visit to New Zealand we invite you to create unforgettable lifetime memories with a few days in Queenstown. Swiss-Belsuites are pleased to offer you the same discount for stays at Swiss-Belsuites Pounamu in Queenstown*. Located, just 10 minute stroll from town centre our spacious Apartments and Studio Rooms offer uninterrupted views of Lake Wakatipu and the vista of Queenstown’s rugged Mountains. This offer applies to Art Fair VIP guests who book stays during April and May 2019 at Swiss-Belsuites Pounamu. Offer valid for stays between 1st April and 1st June 2019, subject to availability. Early Bird Special - Save 15%! 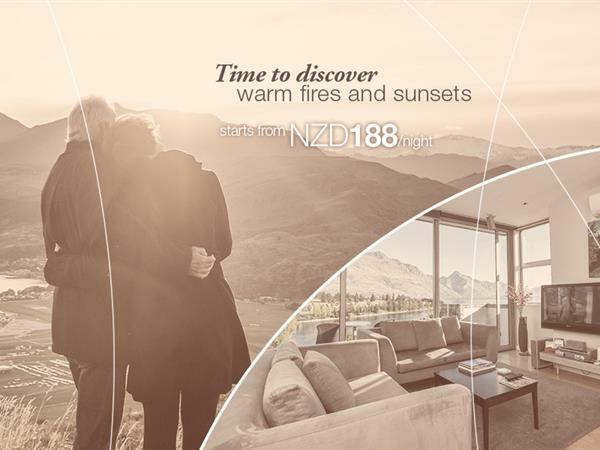 Book 90 days in advance of your stay at Swiss-Belsuites Pounamu and save 15%! When searching for stay dates remember to enter a date that is at least 21 days ahead of today’s date. If you are absolutely sure of your stay date and won't need to change your booking then select our Non-Refundable Rate and enjoy a discount off our Best Flexible Rate! If you need the flexibility to change your booking then choose our Best Flexible Rate Free WiFi allowing you to cancel without fee with notice provided up to 48 hours prior to your arrival. You can also make changes to your arrival date without additional cost.